Ronan Callanan and Sean Mc Carthy study electronic charts during a navigation exercise aboard Baltimore Lifeboat today. Tomorrow Sunday 21st at 11am Baltimore lifeboat will rendevous with the Cape Clear ferry Dún an óir in Baltimore harbour to undertake a scenario based exercise. 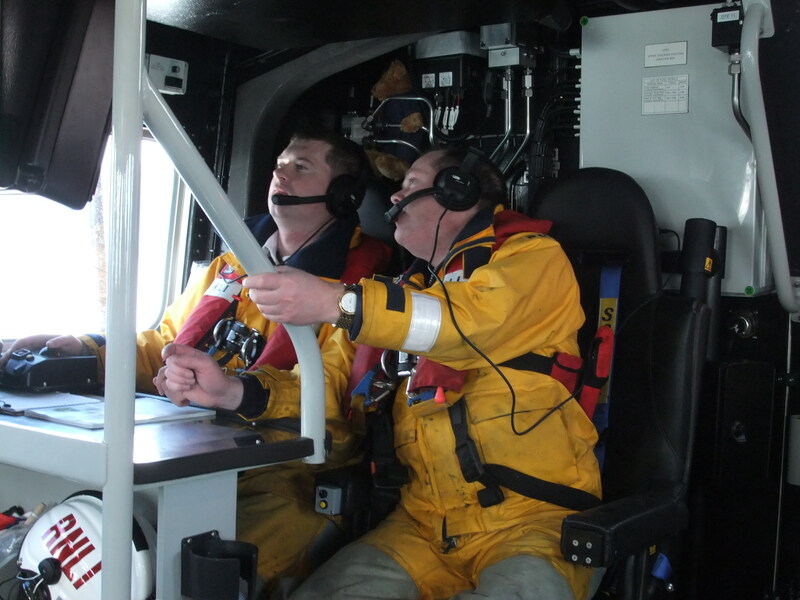 With the ferries heading into their busy season, training like this is valuable to both the lifeboat crew and ferry crew. It will help them develope their knowledge, skills and confidence to be able to deal with the events that everyone hopes will never happen. Thanks to the crew, managment and staff of the Cape Clear ferry for their time and help.